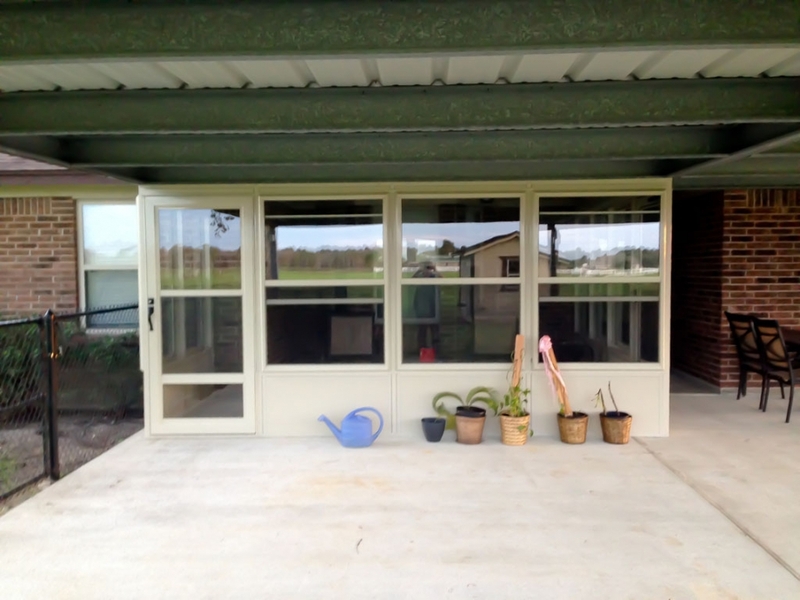 We installed this window room with 2 storm doors under a pre-existing carport in Crosby. This isn’t the same room posted last week. We first built this as a screen room then came back 6 months later and took out the screens and installed storm windows and doors. Screen room with 2 screen doors and a pet door. Be outside but keep the bugs out! Aluminum patio cover and walkway cover in Houston shown with Dark Bronze beams, post and trim. 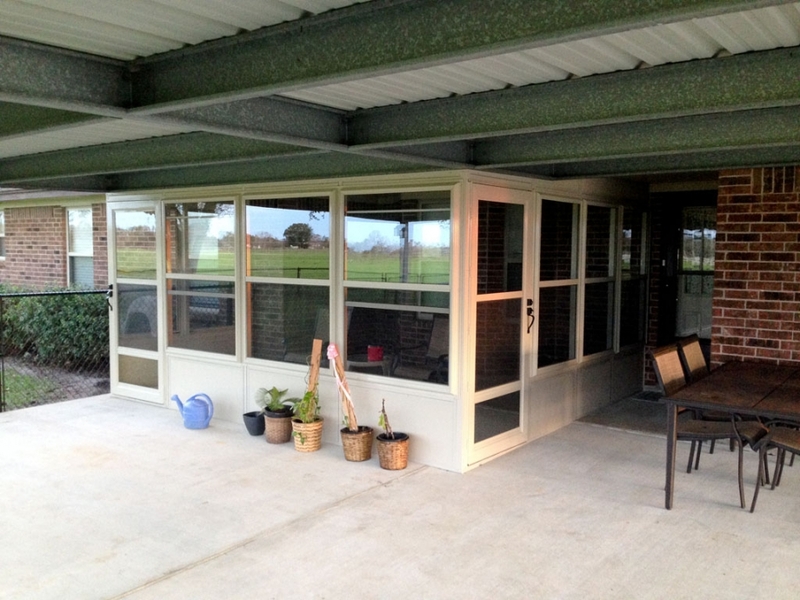 Insulated sun-room with sliding doors. I didn’t get an after picture without the stickers.